Herzliche Einladung zur ersten Einzelausstellung der Künstlerin in Berlin und in Europa. 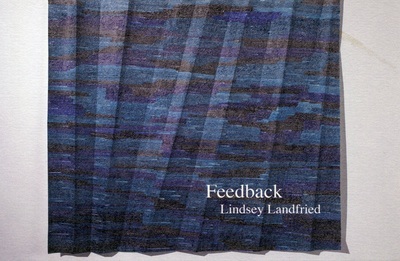 You are cordially invited to the first solo exhibition of Lindsey Landfried in Berlin and in Europe. 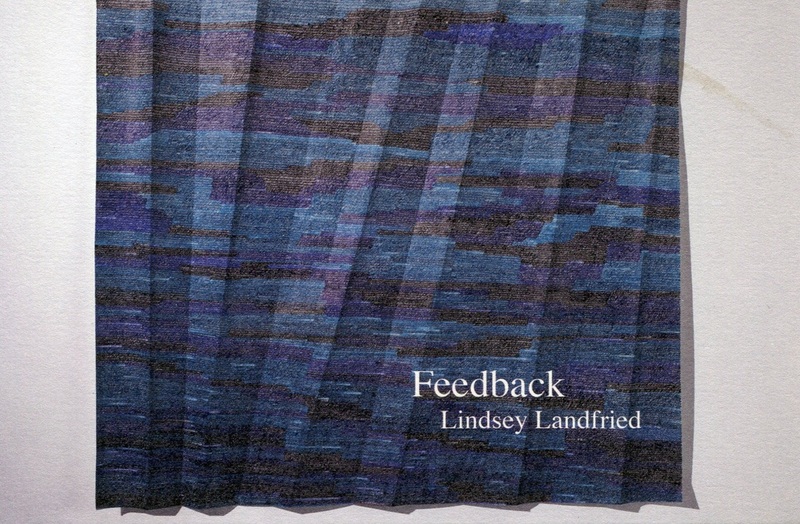 Lindsey Landfried makes works on paper that range from intimate to landscape scale. Comprised of dense nets of loop-like marks, the work, whether hand-held or stretching across a gallery floor, is equally in dialogue with minimalism and the language of data processing and visualization. At once intimate and monumental, rendered with everyday tools such as pens and acrylic paint, the work creates shimmering worlds through tenuous topographies of tiny gestures, interwoven with bits of personal history and contemporary questions. Sometimes folded, sometimes flat; alternately on the floor, on the wall, or in space; the works defy traditional notions of “drawing” while also embracing them. The larger works appear as precarious as hand-knit sweaters or heirloom afghans that could be unraveled if one could only find the slipped stitch. 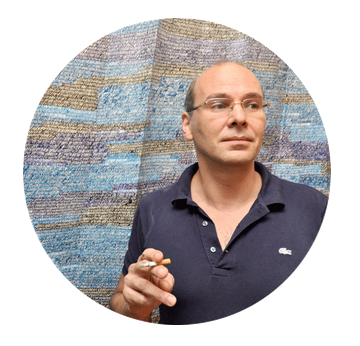 Smaller works are darker, denser, more tightly woven, and perhaps trickier to unwind. The loops—cheerful, anti-heroic gestures—remain the common thread. Viewers are invited to search for them as they appear and reappear, transparent or opaque, black or brightly colored, stretching across each surface like a code to be cracked, a field to be entered, a tome to be read. Making reference to mechanized mass-production processes as well as traditional craftsmanship, Landfried questions repetition: does it beget alienation or expertise? Does it matter? We seek these answers as we enter these fields of information, sure that they must be written in the drawings. TSA is pleased to present an exhibition celebrating the launch of the second year of our Flat File program. The 33 artists in this exhibition were chosen from an open call, attracting a diverse range of national and international artists. The work will debut as the last exhibition in our current location at 44 Stewart Avenue, and will remain on view in our flat files for a year in our new space, opening January 10, 2015. 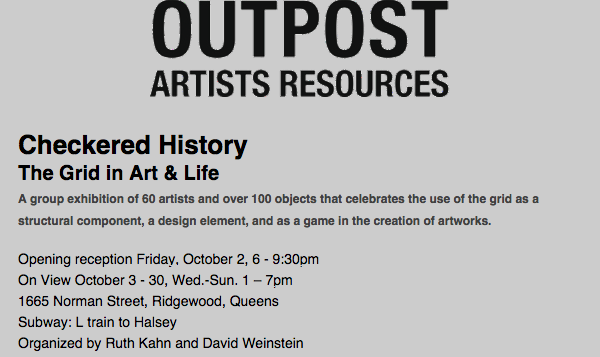 All works are also viewable at our online flat files athttp://newyork.tigerstrikesasteroid.com/flatfile. For more information, please contact TSA. The Flat Files features works by: Ali Osborn, Anne Russinof, Beth Livensperger, Brian Cypher, Charmaine Ortiz, Christopher Gideon, Christopher Ho, Elizabeth Ferrill, Elizabeth Livingston, Emily Berger, Erin O’Brien, Evan Venegas, Gregory Slick, Hannah Cole, Jacquelyn Gleisner, Jason Mones, Jeff Fichera, Jonathan Cowan, Jonathon Cancro, Jordan Buschur, Kristin Richards, Lindsey Landfried, MaDora Frey, Margaux Ogden, Melissa Staiger, Peter Schenck, Robert Otto Epstein, Sarajo Frieden, Scott Dickson, Sophia Chai, Terence Hannum, Theresa Daddezio and Will Hutnick. Artist Lindsey Landfried is offering a free public workshop demonstrating how to make liporello books (accordion books) Friday, November 22nd at 11am at Purple Word Center for Book and Paper Arts,140 Wesley Avenue in the Midtown Arts District. This workshop is sponsored by the Millsaps Lewis Art Gallery and Holiday Inn Trustmark Park. 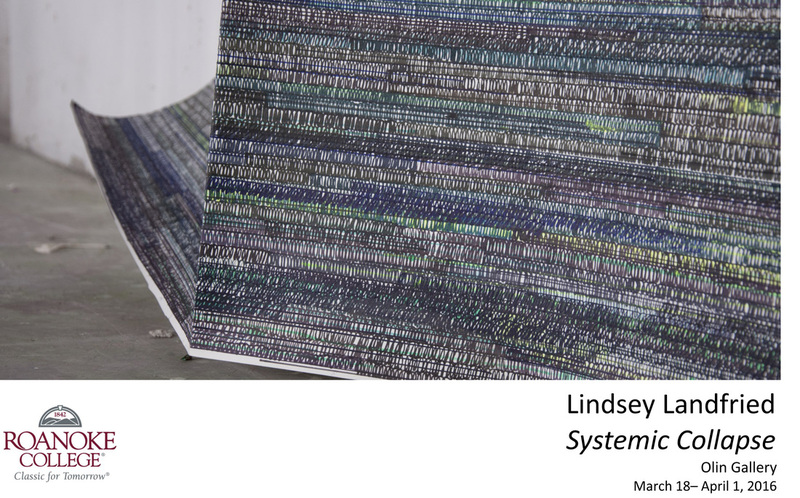 This workshop accompanies an exhibition of Lindsey Landfried's work showing at the Lewis Art Gallery Nov. 4th through Dec. 11th. 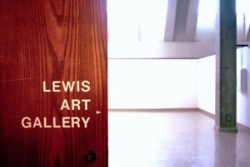 The Lewis Art Gallery is located at Millsaps College on the 3rd floor of the Academic Complex. Gallery hours are Monday through Friday, 9am-4pm. 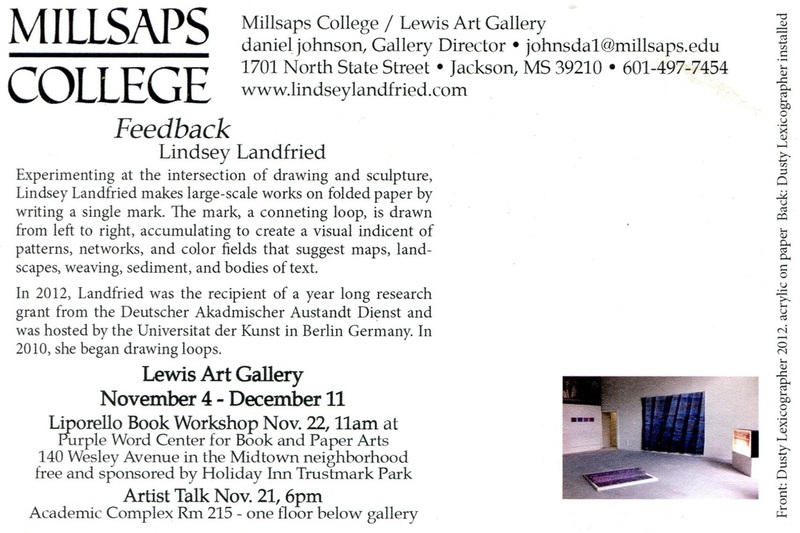 For information on the event, contact Lewis Art Gallery Director Daniel Johnson at johnsda1@millsaps.edu. For information on the Purple Word Center for Book and Paper Arts, contact Director Sandra Murchison atsmiths@millsaps.edu. Thanks to Brian Edmonds for this excellent platform for contemporary art! Curated by Casey Droege, the Flight School Fellowship Exhibition features work from 2011 and 2012 Flight School fellows. In its third year, the Flight School Fellowship is a professional development program designed for professional artists in the Pittsburgh region. Each year, 15 selected Flight School fellows attend a weekend intensive Creative Capital Professional retreat at the beginning of an eight-week series of workshops with guest artists, mentors, and leaders from the Pittsburgh nonprofit and artist communities. Flight School is a program of Pittsburgh Center for the Arts/Pittsburgh Filmmakers. Introduction: In the autumn of last year, Dan Ariely, professor of psychology and behavioral economics at Duke University, North Carolina, presented at the Einstein Forum in Berlin, a lecture on self-control and the art itself to outwit. Subsequently to the exhibiting artists were called upon to enter into a dialogue with Arielys thesis and to approach the subject of restriction and self-control from a unique. From a large number of applications ten works were selected, each grappled with the issue in their own way and are now shown during the summer program at the Einstein Forum. The exhibition is open until 30 June 2013. Im Herbst vorigen Jahres hielt Dan Ariely, Professor für Psychologie und Verhaltensökonomie an der Duke University, North Carolina, im Einstein Forum einen Vortrag über Selbstkontrolle und die Kunst sich selbst zu überlisten. Im Anschluss an den Vortrag waren Künstler aufgerufen, in einen Dialog mit Arielys Thesen zu treten und sich aus einem eigenen Blickwinkel dem Thema Beschränkung und Selbstkontrolle zu nähern. Aus einer größeren Zahl von Bewerbungen wurden zehn Arbeiten ausgewählt, die sich je auf ihre Weise mit dem Thema auseinandersetzten und die nun während des Sommerprogramms im Einstein Forum gezeigt werden. 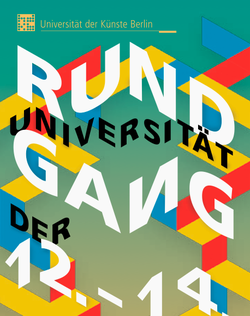 Die Ausstellung ist bis zum 30. Juni 2013 zu sehen. In the course of making work, an artist has discoveries and insights through its creation. Curated by Caetlynn Booth and Tyson Washburn, “10 Years Too Late” is a group show for 10 days in Berlin, presenting current works that speak to the concept through subject matter, process, or insights that would have been useful to the artist 10 years ago, or to the audience. From each of these perspectives, this show asserts that 10 years too late is still right on time. 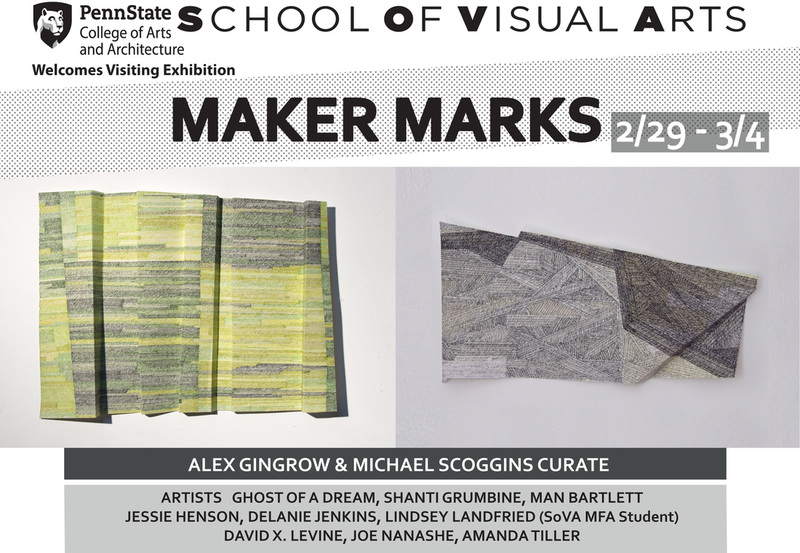 Participating artists include Liv Aanrud, Megan Cotts, Richard Haley, Loie Hollowell, Lindsey Landfried, Amy Lincoln, Alan Prazniak, Tyson Washburn, David Webb, Viktor Witkowski. Each of the ten artists in the show has provided a statement about how their piece speaks to the theme and to their practice, and will accompany the exhibition in printed format. Sometimes we need a radical change. After this date the world should be a new world: maybe 3 times Christmas and holiday all the day (L'anno che verrà by Lucio Dalla), maybe we would be divided into caste alfa, beta or lower gamma, delta and epsilon (Brave new world by Aldous Huxley), maybe nothing will change and we'll following the daily routine. In any case we must look ahead, believing or not the prophecies, because every day is a new day with incredible new data: all around the life follow in its process so all isn't the same of the day before and isn't the same of the day after. The artists have eyes to catch these subtle changes, have the capacity to fell in advance new situations and trends, they see what others can not. Always open to new ideas, always ready to risk: anything is possible. The lecture is open to the public and will commence at 7pm followed by a brief Q&A. Light refreshments will be served. 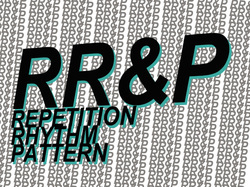 Landfried's work records lines of imagined text represented through the tactile quality of a single mark, the connecting loop. Using traditional writing materials, she repeats this mark to form patterns, networks, and color fields that suggest a complex landscape of illegible information. For Landfried, the loop captures rhythm, sound, and the visual noise that accompanies urban life. The resulting drawings range in scale from very small to wall-size, referencing seismographs, echocardiograms, printers, and computers capable of nearly infinite reproduction. Her work suggests the compression and overlapping of parallel time and the often ubiquitous experience of displacement. through The Pittsburgh Foundation's 2011 Day of Giving.